In 1971, Gary Allen published his book, None Dare Call it Conspiracy. It quickly became an unofficial best seller. Over the years, several million copies have been sold. Allen’s thesis was stark: super-rich American capitalists were financing socialism. This bizarre paradox was resolved when socialism was properly understood—not as “power to the people”—but as elite power over the people. In other words, as a hoax. These days, the socialist hoax is still unknown to most of the population. Cloak a global power grab as progress for all of humanity. NOTE: The descendants of these bankers are now doing everything they can to build up the story that Donald Trump won the presidency by colluding with Russians. To call this an irony, in view of the above information, would be a vast understatement. However, the motives of these current Globalists are clear: regardless of whether Trump meant to keep his promises to destroy Globalism (aka worldwide socialism), his mere mention of Globalism as the enemy, during the presidential campaign, and his declared opposition to Globalist “free trade” treaties, was sufficient to warrant an all-out attack on him. The whole idea of nationalism as preferable to Globalism could act as a contagious germ spreading to the people of other countries—so Trump as the face and symbol of such sentiments had to be defamed and crushed. Through various front organizations, cutouts, dupes, brainwashed useful idiots, and violent hired thugs, that operation to crush Trump is well underway. Again—and this point must be understood—IT DOESN’T MATTER WHETHER TRUMP EVER MEANT TO KEEP HIS PROMISE TO BURY GLOBALISM. THE MERE MENTION OF GLOBALISM AS THE ENEMY WAS AND IS SUFFICIENT TO WARRANT UNCEASING ATTACKS AGAINST HIM. Many, many of Trump’s supporters want to see Globalism buried. Ultimately, they are the real target of the Globalists, who want to neutralize and disperse them and make them passive and demoralized. 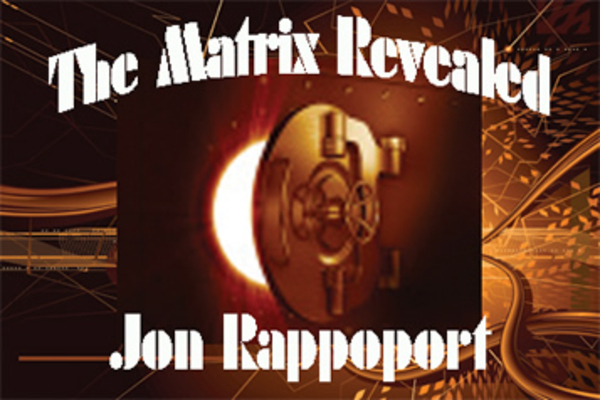 The author of three explosive collections, THE MATRIX REVEALED,EXIT FROM THE MATRIX, and POWER OUTSIDE THE MATRIX, Jon was a candidate for a US Congressional seat in the 29th District of California. He maintains a consulting practice for private clients, the purpose of which is the expansion of personal creative power. 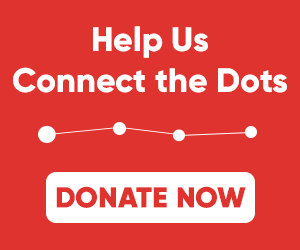 Nominated for a Pulitzer Prize, he has worked as an investigative reporter for 30 years, writing articles on politics, medicine, and health for CBS Healthwatch, LA Weekly, Spin Magazine, Stern, and other newspapers and magazines in the US and Europe. 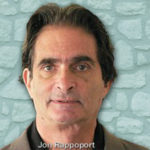 Jon has delivered lectures and seminars on global politics, health, logic, and creative power to audiences around the world. You can sign up for his free NoMoreFakeNews emails here or his free OutsideTheRealityMachine emails here.